This year’s judge is professional artist Gaye Sanders Fisher. 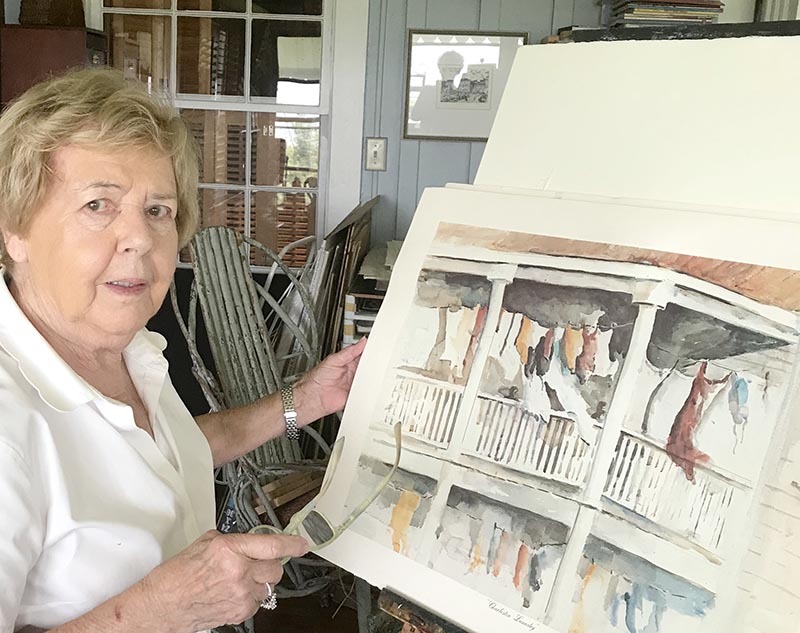 Fisher’s love of architecture and history eventually took her down a 32 year road of design and restoration, specializing in restoration of area rice plantations. It was through this restoration and research that she discovered the luscious watercolors of Alice Ravenel Huger Smith (Amer., 1876 – 1958). By studying the life and work of Smith, Fisher found her passion. For Fisher, watercolor is a medium of freedom, and every painting is an adventure waiting to be discovered and enjoyed.